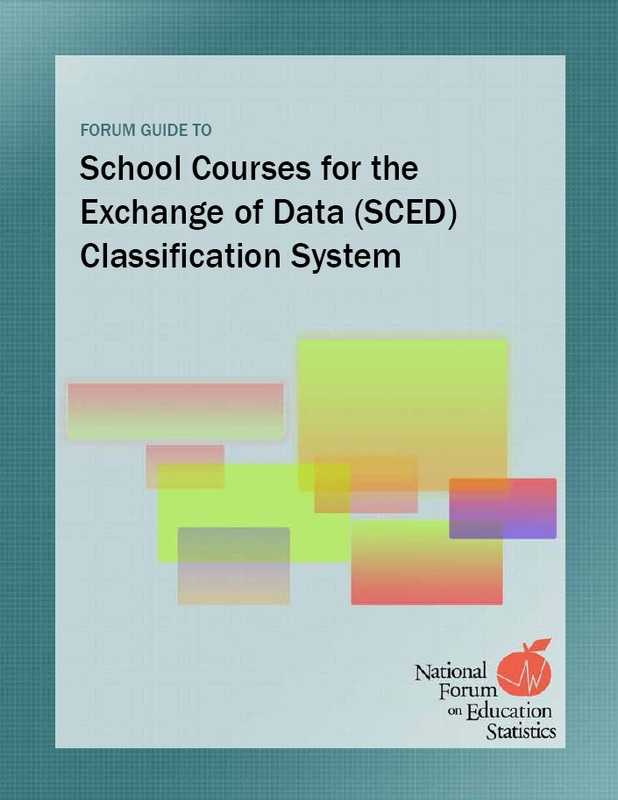 School Courses for the Exchange of Data (SCED) is a voluntary, common classification system for prior-to-secondary and secondary school courses. It can be used to compare course information, maintain longitudinal data about student coursework, and efficiently exchange course-taking records. SCED is based on a five-digit Course Code that provides a basic structure for classifying course content. Additional SCED elements and attributes provide descriptive information about each course. SCED is updated and maintained by a working group of federal, state and local education agency representatives who receive suggestions and assistance from a wide network of subject matter experts at the national, state, and local levels. As a result, SCED is designed to be flexible enough that education agencies can modify it to meet their needs. To suggest updates to SCED, please contact Ghedam Bairu at Ghedam.Bairu@ed.gov. This file includes a comprehensive list of all five-digit SCED Course Codes included in SCED Version 6.0. This list includes the Course Title, SCED Course Code, Course Description, and Change Status. The SCED Finder is a tool that helps users select predefined SCED codes and then assign elements and attributes to courses. It allows users to create, edit, and export lists of courses with the selected course code and user-identified SCED elements. This guide was developed by the National Forum on Education Statistics (Forum) to accompany the release of SCED Version 2.0 Course Codes.It includes an overview of the SCED structure and descriptions of the SCED Framework elements, recommended attributes, and information for new and existing users on best practices for implementing and expanding their use of SCED.